Land release within the City Renewal Precinct is determined by the ACT Indicative Land Release Program. The program, published each year as part of the ACT Budget, details the indicative release of residential, commercial, community and industrial land throughout the territory for the next four years. The ACT Indicative Land Release Program 2018-19 to 2021-22 lists four potential land releases within the City Renewal Precinct. The first of these, due for release 2018-19, is the Macarthur Village site on Northbourne Avenue (Block 12 Section 50 Lyneham), which is a mixed-use development site that has the capacity for up to 530 dwellings. The other three releases will take place one per year from 2019-20. 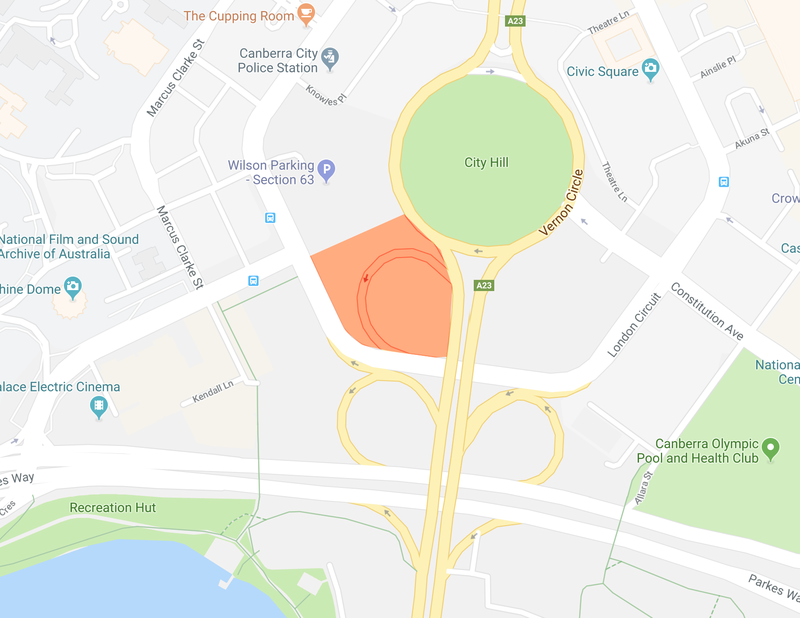 The three sites are all part of the one portion of land between London Circuit and City Hill (Block 20 Section 63 City) that is currently made up of a car park and the northern-most clover leaf exit from Commonwealth Avenue.